Doug Dvorak joins Ken Blanchard, Jack Canfield, & John Christensen in upcoming release! SEVIERVILLE, TENNESSEE— Doug Dvorak, professional speaker, motivational expert, humor and creativity consultant has been selected from a nationwide search to be featured in a new book from Insight Publishing called The Masters of Success. 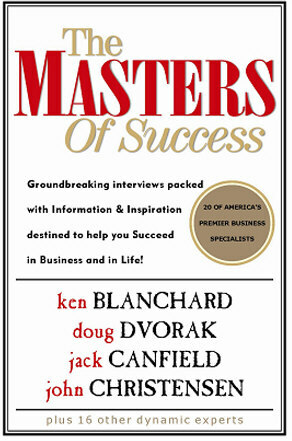 The book features Dvorak along with best-selling authors Ken Blanchard (One Minute Manager), John Christensen (Fish! Tales), and Jack Canfield (Chicken Soup for the Soul). Each of these well known speakers and authors shares their strategies for success in frank and intimate interviews. Doug holds a Bachelor of Arts degree in Business Administration and a Master of Business Administration in Marketing Management. But his sense of humor is no less refined, as he is a graduate of the Player’s Workshop of the Second City, one of the oldest and most prestigious improvisational comedy schools in the world.